A search engine for most of the Syracuse University Libraries’ collections and other resources beyond the SU Libraries. Attention screen reader users: This link will go to either full or mobile versions of the Classic Catalog application. 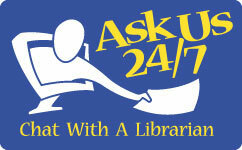 Print and electronic materials available in the Syracuse University Libraries. A listing of databases available through the Syracuse University Libraries. Digital collections from Syracuse University Libraries. Find and connect with faculty experts at Syracuse University and at other universities. Print and electronic journals, magazines, and newspapers available through the Syracuse University Libraries. Our extensive Map and Government Information collections. Guides to resources for a specific discipline or course of study. Rare books, manuscripts, digital collections, and other primary source materials. A collection of scholarly, professional, scientific and creative output produced at Syracuse University. Collections that document the history, organization, policies, activities, and people of Syracuse University. Our video and film collections, as well as musical recordings, books, and scores.